One Teenage Refugee’s Journey from Iraq to CaliforniaWhat it’s like to start life in a new country — when you’re still figuring out who you are. The Kurds’ Long Fight for Independence Is Coming to a HeadA landmark referendum on Monday faces almost universal opposition around the globe. Iraq’s Kurds are proceeding anyway. Is ISIS’s Elusive Leader Abu Bakr al-Baghdadi Dead?A respected human-rights group says he’s been killed. But ISIS calls it “fake news.” Who’s right? Iraqi Army Retakes Mosul From ISISThe brutal, months-long offensive has finally “liberated” Iraq’s second-largest city after three years of ISIS control. ISIS’s Caliphate Is Collapsing, But Don’t Celebrate Just YetThe jihadi group is losing land and resources. Defeating its nihilistic philosophy remains a much taller order. Cleaning Up After Trump, Mattis Says U.S. Won’t Steal Iraqi OilThe Defense Secretary arrives in Baghdad as a part of his world tour of walking back Trump statements. New Trump-Themed Kurdish Restaurant Only Serves Bottom-Feeder FishThe owner hopes to eventually instate a location near the White House. Iraqi Government Forces Are About to Cross Into MosulBreaching the city lines after three weeks of fighting. Kurdish Fighters Have Retaken at Least 9 Towns on the Outskirts of MosulSome footage from the front lines is streaming on Facebook. The Battle to Liberate Mosul From ISIS Has BegunThe fight is expected to last weeks, if not months, and may lead to an enormous humanitarian crisis. U.S. to Send Another 600 Troops to Iraq Ahead of Push to Retake MosulBrings the total up to about 5,000. At Least 120 Dead After ISIS Car-Bomb Attack on Baghdad Shopping DistrictIt’s the third major terror attack in a Muslim country that has been linked to ISIS in less than a week. Protesters Breach Green Zone and Storm Parliament in BaghdadThe political unrest in Iraq appears to be intensifying. ISIS Suicide Bomber Kills 41 at Soccer Game in IraqAlmost half of those killed were teenage boys. Widow of ISIS Leader Arrested for Kayla Mueller KidnappingShe is being held in Iraq for terrorism-related activities. Reports: 3 Americans Kidnapped in BaghdadIf true, this would be the first abduction of Americans in Iraq in more than five years. ISIS Claims Responsibility for Mall Attack in BaghdadThe attack, which involved a car bomb and multiple gunmen, is now over. 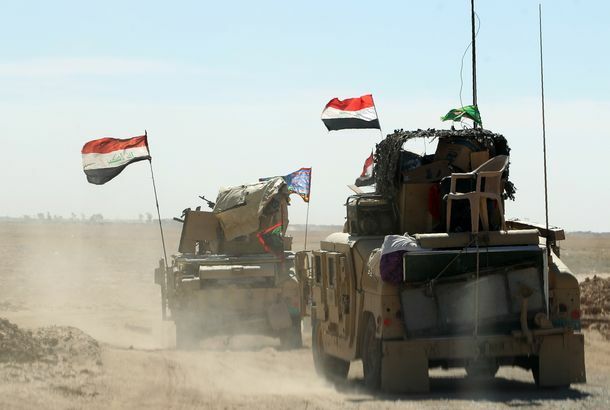 In a ‘Proud Moment,’ Iraq Retakes Most of Ramadi From ISISThe battle isn’t over yet, though. ISIS May Be on the Verge of a Significant DefeatIraqi forces believe they are days away from retaking the city of Ramadi. Jeb’s New Iraq Stance: My Brother’s ‘Mission Was Accomplished’Blaming the results of his brother’s war on Obama and Clinton is a bold move, and it probably won’t work. At Least 60 Dead After ISIS-Claimed Attack in Baghdad“There was blood everywhere, and people were running. It was really a horrible scene. U.S. Plans to Shift Iraq Strategy, Deploy More Troops After ISIS AdvancesObama admits there’s no “complete strategy” yet, but he’s expected to shift the focus to retaking Ramadi. ISIS Seizes Another Iraqi CityAfter the military flees. Blackwater Guards Sentenced for Killing Iraqis“I know for a fact that I will be exonerated, in this life and the next,” said one of the men. 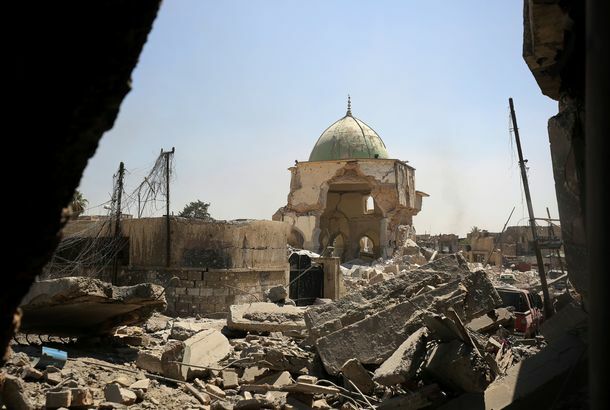 U.N. Report Accuses ISIS of Crimes Against Humanity and GenocideThe United Nations Human Rights Office calls for war-crimes trials against the Islamic State. Explaining the Many Different Ways Congress Is Iffy About the ISIS AUMFGoing through the many different opinions on the White House’s draft resolution authorizing the use of military force against ISIS.